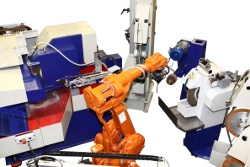 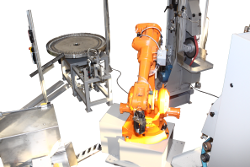 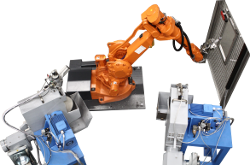 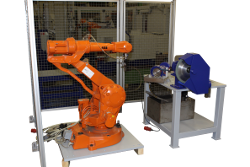 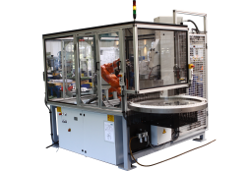 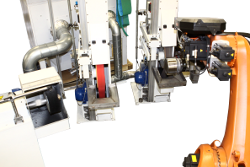 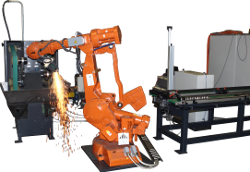 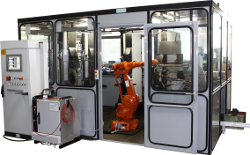 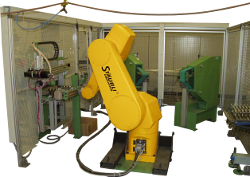 The Berger Gruppe produces a big range of robotic cells where the workpieces are robot-guided. 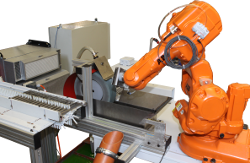 The robotic cells can be equipped with different working stations, magazine systems and measuring technique. 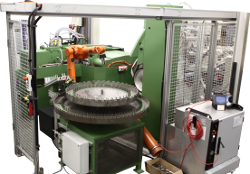 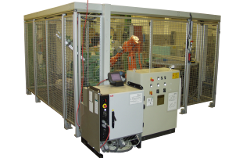 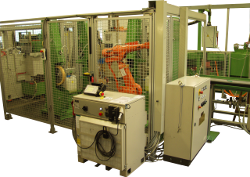 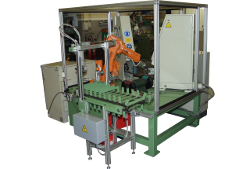 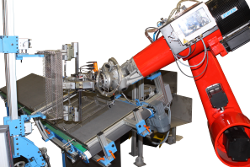 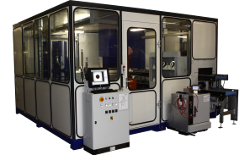 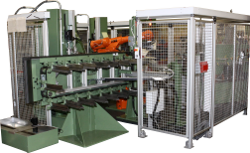 The robotic cell consists of four belt grinding stations and is designed for the machining of forceps and similar workpieces.